Ambassador M K Bhadrakumar, who played a stellar role in beginning India's systemic dealings in Afghanistan in 1994, reveals for the first time how he undertook that most important and risky mission. One thing I learnt early enough in South Block was that as head of a territorial division, the success of a policy initiative almost always would lie in slipping it in innocuously when the superiors were overworked. Even if the idea were heretical, the chances of it finding habitation depended on the timing. That was how the saga of India's systemic dealings with the Afghan Mujahideen began in 1994. The fifteenth anniversary of the assassination of Ahmed Shah Massoud, the legendary 'Lion of Panjshir,' becomes an appropriate occasion to reminisce. But, first, it is necessary to summon some history from the attic of the mind. Circa 1991, it wasn't particularly difficult for an Indian diplomat to bump into an odd Afghan Mujahideen representative accidentally at an embassy reception in Islamabad. From their opposite ends of the Asia-Pacific region, China and the United States have distinct - though sometimes overlapping - strategic visions of East Asia. The respective hefts of the United States and China, and the interaction between the status quo power and the emerging power, naturally exert enormous influence on the region, though the countries between these two powers of course have roles to play in determining their fates. Beijing has positioned itself since the global economic crisis as equal to the United States and Europe, at least in terms of economic weight. Hosting the recent G-20 Summit allowed China to highlight its growing regional and international stature. But Beijing still plays the dual role of economic power and developing nation. It considers itself the vanguard of the developing world, challenging the status quo established by the United States and Europe, something highlighted by Beijing's decision to invite numerous developing nations to have representatives present on the sidelines of the G-20. Shortly after China hosted the G-20 summit, U.S. President Barack Obama reiterated his call for the implementation of the Trans-Pacific Partnership at the Association of Southeast Asian Nations (ASEAN) summit in Laos in a bid to assert a leadership role in the future structure of Asian trade relations. Though the Obama administration views the partnership as the cornerstone of U.S. trade relations in Asia, it faces strong political headwinds in the United States, where the deal's future is uncertain. Obama also had to cope with the appearance of strained relations with the new president of the Philippines, a U.S. treaty ally situated at the point of collision between U.S. and Chinese strategic interests in Asia. These challenges highlight how Washington can no longer simply assert its right to lead in Asia, where the status quo is breaking down. Seemingly positive economic news for the U.S. could actually portend a recession. The filmmaker’s introduction to the broadcast of Ritwik Ghatak’s masterpiece is a primer on Indian cinematic forms. In 2006, Channel 4 TV in the United Kingdom dedicated a season to renowned Bengali director Ritwik Ghatak. Four of Ghatak’s masterpieces were aired: Meghe Dhaka Tara, Subarnarekha, Komal Gandhar and Titas Ekti Nadir Naam. Filmmaker Mani Kaul, who was one of Ghatak’s students at the Film and Television Institute of India in the 1970s and regarded the director as one of his mentors, introduced Titas Ekti Nadir Naam. (Ghatak’s son, Ritoban, introduced the other films). A Bangladeshi co-production made in 1973, Titas Ekti Nadir Naam follows the lives of fisherfolk living along the banks of the Titas river. For his introduction, Kaul spoke to Nasreen Munni Kabir about the meaning of the epic form in cinema, Ghatak’s approach to the subject, and the cultural differences between Indian and Western cinema. Kabir, the writer and filmmaker, is a Channel 4 consultant on Indian cinema and has been curating their annual season on Indian cinema for over 30 years. Mani, you know people talk about the epic form, especially in Ghatak’s work. There are people who may not understand what is an epic form. Can you explain it very simply and tell me how it applies to Ghatak in his film ‘Titas Ek Nadir Naam’?I can explain it, but “simply” is the problem. Traditionally there is the epic form, and in opposition, there is the dramatic form. When we speak of the dramatic form it is motivated towards a result, towards a goal. About ninety-nine percent of films, whether made by serious filmmakers or Hollywood, are actually dramatic films. It is time for New Delhi to decide to what extent it is in the interest of India to deepen its intervention in the political affairs of Nepal. There is much to do bilaterally on the environmental, cultural, economic fronts, and the dangers of keeping Nepal constantly insecure and on the boil open up the possibility of societal instability leaching to adjacent Indian States. One doubts whether New Delhi think tanks have considered the economic impact political stability in Nepal would have on the dispossessed northern regions of Bihar and Uttar Pradesh. The open border creates such an interconnected sociocultural web that a stable and prosperous Nepal will be a catalyst for this region. The weakness of Nepal Studies in Indian academia is astounding, and can only be the result of overwhelming preoccupation with geopolitics, with little interest in the welfare of India’s own peripheral populations. The attention of South Block seems focused entirely on ‘correcting’ Nepal’s new Constitution through amendments, mainly relating to the configuration of federal units. Given the lack of active interest amongst Indian politicians, academia and civil society, the field has been left open for diplomats and intelligence operatives to determine the course of action, the latter having enjoyed increasing leeway in Kathmandu over the past decade. The level of interference claimed by the writer is confirmed by authors and analysts celebrated in New Delhi circles, but there has been no pullback perhaps because of an unspoken acknowledgement of India’s ‘right’ to intervene in the neighbourhood. Last week, the Congress party suffered one of its periodic bouts of calculated amnesia. It indignantly declared that the government had, in signing the Logistics Exchange Memorandum of Agreement (LEMOA) with the US in August, abandoned India’s “strategic military neutrality”. Simply put, LEMOA is a bilateral agreement that makes it easier for one side to offer logistical support—such as fuel for a ship—to the other, and for the recipient to pay in cash or kind. It is undoubtedly a big step forward in the US-India defence relationship, but hardly a transformative rupture for Indian grand strategy. No fewer than three Congress prime ministers, from 1964-67, permitted the US’ Central Intelligence Agency spy planes to operate from Indian bases. It was a Congress prime minister who signed a 20-year treaty with the Soviet Union in 1971, promising “appropriate effective measures” in the event of war. In 1991, a Congress-backed prime minister agreed to let arms-bearing American transport planes refuel in Mumbai, Chennai, and Agra twice a day during the first Gulf War and supplied intelligence on Iraq’s Soviet aircraft. And it was a Congress prime minister—the fourth in this story, if you’ve lost count—who signed a 10-year defence “framework” with the US in 2005. So, the notion that India observed seven decades of neutrality, right up until a modest logistical agreement was signed in the summer of 2016, is nonsensical. It is an argument unworthy of a party that had the foresight and political courage to take similar steps that expanded India’s diplomatic room for manoeuvre. In a move of great significance, Prime Minister Narendra Modi is not attending the 17th Non-Aligned Movement (NAM) summit, currently taking place in Venezuela’s Margarita Island. Instead, India is likely to be represented by vice-president Hamid Ansari on 17-18 September. NAM was founded in Belgrade in 1961 by Jawaharlal Nehru, Indonesia’s first president, Sukarno, Egypt’s second president, Gamal Abdel Nasser, Ghana’s first president, Kwame Nkrumah, and Yugoslavia’s president, Josip Broz Tito. This will be only the second time an Indian prime minister will give the summit a miss since the country co-founded the movement. The only other case was of Charan Singh in 1979; he was then a caretaker prime minister. Modi’s explicit shift away from the legacy of Nehru is a significant departure from the traditional foreign policy approach of New Delhi. Indian policymakers’ fixation with non-alignment has remained a central component of Indian identity in global politics that is manifest in continuities: Since independence in 1947, India has been in pursuit of strategic autonomy, a quest that in practice has led to semi-alliances fashioned under the cover of non-alignment and shaped by regional dynamics. In this setting, the rise of China now raises an interesting conundrum for Indian policymakers as New Delhi seeks to balance the benefits and risks of an increasingly assertive neighbour and a network of alliances with like-minded countries. India’s inter-state disparity is not just confined to income levels. The states diverge on several other economic, social and demographic indicators. But one particular indicator needs to be mentioned. That is total fertility rate (TFR)—or the average number of children a woman bears during her entire reproductive period. Interestingly, the three poorest states in the Dehejia-Chakravarty analysis are also the three with the highest TFR in India, and in the same order. The culprits, Bihar, Uttar Pradesh and Madhya Pradesh, with 2013 fertility rates of 3.4, 3.1 and 2.9, respectively, are behind the lower middle-income countries’ average, according to World Bank data. There is no love loss between the current government and the Non-Governmental Organisations (NGOs). Foreign funding of the NGOs has been a particular area of concern for the government as it believes that the NGOs run the agenda of those who bankroll them. And these foreign funders have no skin in the game or stake in India’s progress, so when the NGOs backed by them try to stall development projects, this further helps validates the government’s suspicions. Prime Minister Narendra Modi has had many run-ins with these NGOs, the most infamous being the row over his pet project, Sardar Sarovar Dam, when he was the Gujarat chief minister. Last year, his government cancelled the registrations of over 10,000 NGOs under the Foreign Contribution Regulation Act (FCRA) which governs foreign funding of NGOs. Recently, it fired a Joint Secretary in the Home Ministry for the online renewal of FCRA license of Islamic preacher Zakir Naik’s NGO. The government has been heavily criticised for its high-handedness in dealing with the NGOs. But today, it has received the endorsement of none other than the highest court in the country. Bengal Chief Minister Mamata Banerjee visits Singur today (14 Sept.). No matter what promises she makes to them, the ‘Singur stigma’ will weigh heavily both on her and the locals there. Singur could have been what today’s prosperous Sanand in Gujarat is. But thanks to Mamata’s fight against the Tatas, it remains beset by problems. When Bengal Chief Minister Mamata Banerjee goes to Singur, about 38 kilometres north-west of Kolkata, today (14 Sept.), she will see a sea of faces that will reflect both remorse and hope. Remorse over their monumental mistake in supporting Mamata’s stir against the Tata small car project on their land a decade ago, and hope that Mamata will bring industry back where they will find employment. But their collective hopes are bound to be dashed. The ‘Singur stigma’ weighs heavy on Mamata, whose continued pursuance of street politics keeps reinforcing her anti-industry and mercurial image. And despite all that she claims and promises to the people of Singur today, bringing industry back to Bengal will be tough, if not impossible, for her. Though Mamata shed “tears of joy” when she learnt of the Supreme Court verdictat the end of last month, quashing the allotment of land at Singur to Tata Motors, there was really nothing for either Mamata, the people of Singur or the rest of Bengal to cheer about. Because at the end of the day, the land that was given to the Tatas is now hardly cultivable and the holdings are so small that growing crops on them will barely bring two square meals a day to the cultivators. China's military has set up a new logistics support force as part of efforts to reform and modernize the world's largest armed forces, state media has reported. President Xi Jinping's push to reform the military coincides with China becoming more assertive in its territorial disputes with Asian neighbors in the East and South China Seas. China's navy is investing in submarines and aircraft carriers and its air force is developing stealth fighters. In January, China created three new military units, including a missile force that controls its nuclear deterrent. The new joint logistics force would better support military operations, the official Xinhua news agency said late on Tuesday. The move "is a strategic decision by the Communist Party's Central Committee and Central Military Commission to comprehensively deepen national defense and military reform," Xinhua cited Xi as telling a ceremony in Beijing. "It is of far-reaching significance to establishing a modern joint logistics support force with Chinese characteristics and building a world-leading military," he said. 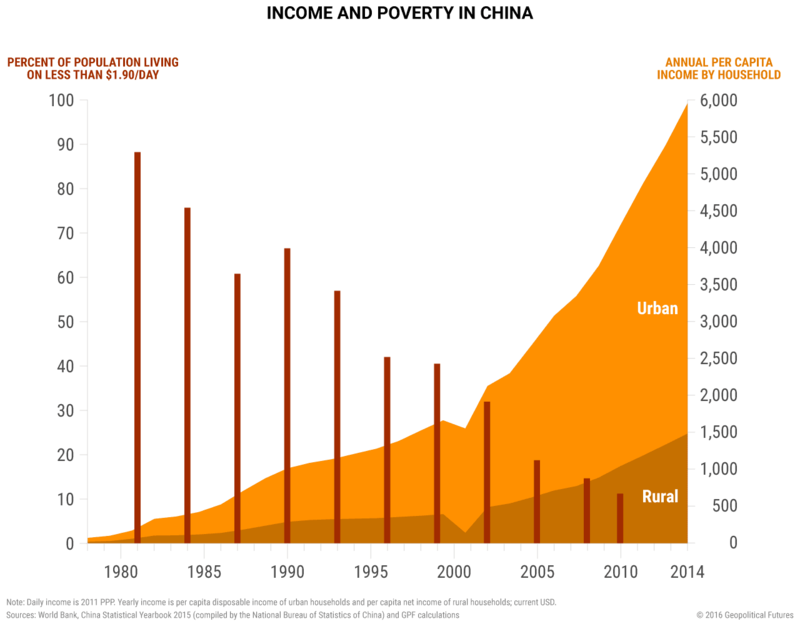 China says it has lifted 700 million people out of poverty. What does that really mean? On my most recent trip to Saudi Arabia, I was greeted with a startling confession. In the past, when we raised the issue of funding Islamic extremists with the Saudis, all we got were denials. This time, in the course of meetings with King Salman, Crown Prince Nayef, Deputy Crown Mohammad Bin Salman and several ministers, one top Saudi official admitted to me, “We misled you.” He explained that Saudi support for Islamic extremism started in the early 1960s as a counter to Nasserism—the socialist political ideology that came out of the thinking of Egypt’s Gamal Abdel Nasser—which threatened Saudi Arabia and led to war between the two countries along the Yemen border. This tactic allowed them to successfully contain Nasserism, and the Saudis concluded that Islamism could be a powerful tool with broader utility. The head of Cyber Command told senators on Tuesday that the Islamic State group is "the most adaptive target" he's seen during his time in the intelligence community. “ISIL remains the most adaptive target I’ve ever worked in 35 years as an intelligence professional,” Adm. Michael Rogers told the Senate Armed Services Committee, using an alternative acronym for the group. ISIS has proven adept online using the internet and encrypted communications platforms to push propaganda, recruit and communicate. The use of encrypted applications, such as the German company Telegram, allows terrorists to communicate securely with fighters deployed outside the group’s traditional battlefield in the Middle East, as well as new recruits without fear of being monitored by government snooping. This encryption challenge has amplified the age-old security versus privacy debate. Rogers offered a different outlook on the problem noting that rather than focus on specific applications and users, applying a broad approach could expose vulnerabilities to generate intelligence. Which U.S. university can boast the most international flair? 974,926 international students were enrolled in U.S. universities last year, accounting for just under five percent of the total undergraduate population. NYU hosted the most of them, 13,178, according to Institute of International Education data published by the Wall Street Journal. It was followed by the University of Southern California (12,334) and Columbia University (11,510). This chart shows the number of international students at U.S. universities in 2014/15. Just over a year ago, images of a drowned Syrian boy who washed up on a Turkish beach shocked people across the world. Britain pledged to take 20,000 refugees since then but so far, only 2,800 have been resettled in the UK. The following infographic is based on an Oxfam report showing how countries are progressing at taking in refugees in relation to the size of their economy. Britain is doing quite badly while Norway and Canada are progressing extremely well. This chart shows pledged places as a percentage of 'fair share' based on size of economy. “If I only had a little humility, I’d be perfect,” the media mogul Ted Turner supposedly said sometime in the 1990s, in a moment of narcissistic exuberance. While Turner has been much humbler since, today’s breed of tech entrepreneurs often display a similar arrogance. Why be humble? After all, Aristotle said: “All men by nature desire to know.” Intellectual humility is a particular instance of humility, since you can be down-to-earth about most things and still ignore your mental limitations. Intellectual humility means recognizing that we don’t know everything—and what we do know, we shouldn’t use to our advantage. Instead, we should acknowledge that we’re probably biased in our belief about just how much we understand, and seek out the sources of wisdom that we lack. The internet and digital media have created the impression of limitless knowledge at our fingertips. But, by making us lazy, they have opened up a space that ignorance can fill. On the Edge website, the psychologist Tania Lombrozo of the University of California explained how technology enhances our illusions of wisdom. She argues that the way we access information about an issue is critical to our understanding—and the more easily we can recall an image, word or statement, the more likely we’ll think we’ve successfully learned it, and so refrain from effortful cognitive processing. Logical puzzles presented in an unfriendly font, for example, can encourage someone to make extra effort to solve them. Yet this approach runs counter to the sleek designs of the apps and sites that populate our screens, where our brain processes information in a deceptively smooth way. The Democratic National Committee breach and FBI warnings of hackers tampering with election boards has some officials on edge. But simple fixes could further safeguard the vote. Recent cyberattacks on state voter databases and the Democratic National Committee are raising fresh concerns that hackers could manipulate the upcoming presidential election. In Washington on Tuesday, Rep. Barry Loudermilk (R) of Georgia said, "Rightly, we should be concerned about the integrity of our election system," during a congressional hearing in which lawmakers quizzed officials about the potential flaws at US polls. Indeed, the DNC hack and data dump, which cybersecurity experts andunnamed US officials have blamed on Russian operatives, and the recent FBI warning that unknown hackers tampered with state board of elections in Illinois and Arizona have surfaced troubling questions about the mechanics and processes that underpin American democracy. But should Americans really be concerned that hackers could tamper with – or even tip – the upcoming presidential vote? And if that's even possible, what are the precautions that election officials and law enforcement are taking to protect the vote? "When people hear how the Russians have infiltrated political parties or state election sites, they immediately jump to, 'Oh, they can flip votes and change the result of an election,' " said Lawrence Norden, deputy director of the Democracy Program at New York University’s Brennan Center for Justice. Cyberattacks fill the news. The story is always the same. Something bad happens, cybersecurity experts are brought in. After their investigation, an attribution is made. The debate over encryption on smartphones and messaging apps is poised to heat up again on Capitol Hill after it peaked last winter when Apple denied an FBI request to help unlock a terrorist's iPhone. Senate Intelligence Committee leaders Dianne Feinstein (D) and Richard Burr (R) are apparently working on another push for their bill to compel companies to give law enforcement access to encrypted data if presented with a court order. When the senators initially circulated a draft bill earlier this year, however, privacy advocates and tech industry groups alike roundly criticized their proposal. On Tuesday, senators returned to the issue of encryption, which many politicians and law enforcement officials such as FBI Director James Comey complain helps terrorists and criminals mask their communications, in an Armed Services Committee hearing with National Security Agency Director Adm. Michael Rogers and Undersecretary of Defense for Intelligence Marcel Lettre. Sen. John McCain (R) of Arizona said that if the military and intelligence agencies didn't act to address potential security blind spots when it comes to the Islamic State (known as both ISIS or ISIL) using private messaging apps to recruit and plan attacks, Congress would likely pursue legislation to regulate encryption. "Ignoring the issue, as the White House has done, is also not an option," he said. "ISIL has utilized encrypted communications that just a few years ago were limited to a select few of the world's top intelligence services." Defense Secretary Ashton Carter (left) and DIU(X) director Raj Shah (right) speak to reporters at the opening of DIU(X) Boston. CAMBRIDGE, MASS. : Special operations troops will test a high-tech headset that “uses noninvasive electrical stimulation” to help the brain learn better marksmanship and hand-to-hand combat skills, Defense Secretary Ashton Carter said here today. This cutting edge example of “enhanced human operations” — a highly controversial field — is just the first commercial project funded by Carter’s recently reorganized Defense Innovation Unit (Experimental), DIU(X). Carter overhauled the original Silicon Valley DIU(X) 75 days ago, politely replacing the entire leadership and bringing the organization under his personal control. Today he’s in Cambridge — just blocks from MIT and 15 minutes from Harvard Yard — to formally open a long-awaited DIU(X) branch on the East Coast. He also announced new luminaries joining the Defense Innovation Advisory Board, including Amazon CEO (and Washington Post owner) Jeff Bezos and pop science superstar Neil deGrasse Tyson. “DIU(X) is supposed to be a pathfinder here,” Carter added at the press conference. Ultimately, he said, it’s supposed to work itself out of business as its more agile, innovative approach spreads throughout the Pentagon. Adm. Michael S. Rogers is the head of the National Security Agency and U.S. Cyber Command. The Pentagon and intelligence community are expected to recommend soon to President Obama that he break up the joint leadership of the National Security Agency and U.S. Cyber Command to create two distinct forces­ for electronic espionage and cyberwarfare. The potential move is driven by a sense that the two missions are fundamentally different, that the nation’s cyberspies and military hackers should not be competing to use the same networks, and that the job of leading both organizations is too big for one person. Obama was on the verge of ending the “dual-hat” leadership in late 2013 but was persuaded to hold off when senior officials, including then-NSA Director Keith B. Alexander, argued against it on the grounds that the two organizations needed one leader to ensure that the NSA did not withhold resources from Cyber­Com. Three years later, Defense Secretary Ashton B. Carter and Director of National Intelligence James R. Clapper Jr. are pressing for the split, with Carter seeking to build Cyber Command into a full-fledged fighting force that has its own network accesses to conduct attacks. Clapper, officials said, supports the idea in part to reduce tension over which force gets to use the networks — the spies or the war­fighters.